Apple has updated its entry-level iPad, adding some improved specs and support for the Apple Pencil. But beyond that this is an incremental update, with more staying the same than changing. And this isn’t the budget iPad for students some were expecting. There have been rumors suggesting Apple was preparing to launch a budget iPad to compete with Chromebooks. Which now includes the first Chrome OS Tablet The Acer Chromebook Tab 10 Is a Chrome OS Tablet The Acer Chromebook Tab 10 Is a Chrome OS Tablet This 10-inch tablet is designed to beat Apple and the iPad into submission, and cement Chrome OS as the number one operating system in the education market. Read More . Unfortunately, Apple’s bottom line prevents the company from offering a true bargain. The new Apple iPad is just like the last Apple iPad, and the one before that, and… you get the idea. It boasts a 9.7-inch screen, the A10 Fusion chip, an 8-megapixel rear-facing camera, an HD FaceTime camera, and 10 hours of battery life. For ordinary consumers, the new iPad will cost $329, the same as the current model. The Apple Pencil, which this new model supports, will set you back a further $99. However, schools can get the iPad for $299 and the Pencil for $89. A saving of just $40. Apple thinks this makes the iPad a bargain for students, which is why it focused this event on education and held it in a school in Chicago. The idea being to take the fight to Google, which, thanks to the success of the humble Chromebook, owns the education sector. Unfortunately for Apple, these paltry savings are simply not enough to make the iPad an attractive option for public schools. Which are facing budget cuts forcing parents to crowdfund for basic supplies. Spending $388 on an iPad/Pencil combo is not a priority. While iPads are fantastic devices for creating and consuming content, a Chromebook makes much more sense in a classroom. Especially as most Chromebooks cost less than the new iPad, and come with a keyboard allowing students to write comfortably. If Apple really wants to compete in the education sector the company will have to launch an actual budget iPad. Or maybe even forgo a slice of its profit in order to help the next generation of consumers get a good education Today at Apple: Free Educational Classes for Everyone Today at Apple: Free Educational Classes for Everyone Apple has launched its new effort to educate us all, with free classes now available around the world. Today at Apple is a concerted effort to educate the masses in subjects including coding and photography. Read More . But that hasn’t happened yet. Explore more about: Apple, Education Technology, iPad, Students. Its not just the basic cost of the device but TCO, the frailness of iPads vs. Chromebooks and replacement costs, the backend MDM google has built, the education toolsets, etc. Google is WAY ahead in the primary education market. 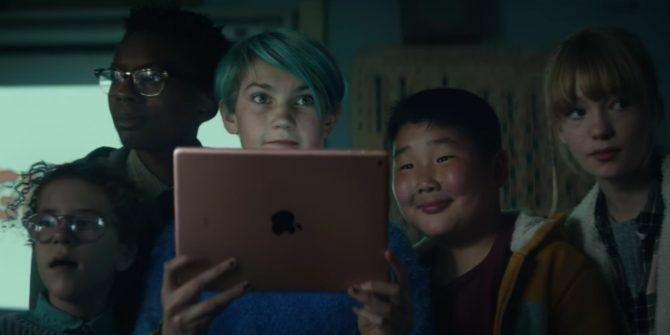 Now if Apple would have, you know, innovated and created a low close iPad with a hinged keyboard and added mousing to it, then maybe we could take them seriously. I wouldn't let me daughter touch a Chromebook under any circumstances. Aside from the shoddy construction and bottom-barrel specs of all but a handful of Chromebooks, the privacy issues alone are a nightmare. Until Google stops skimming user data, a relatively inexpensive iPad is by far the more attractive option in my book. Now, I get it that at nearly $400 a pop, the iPad is out of reach for most public schools, but the breadth and quality of educational tools available on the iPad is light years ahead of Google's offerings. Sorry, friend, but you can keep your Chromebook. I'll pay out of pocket for the better product.